Your consultant will connect with your church leadership to explain the Church Health Survey. 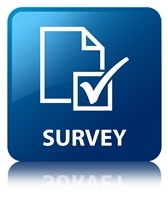 Your consultant will provide your congregation with the Church Health Survey. Your people will complete the survey either live or through email, and return the completed survey within one week to the consultant. Your consultant will look over the surveys to ensure completeness. Your consultant will process the results. Your consultant will mail/email the CHS packet (results) to your pastor or designated leaders. Consultant fees for Level 201 are $1000 + cost of Church Health Surveys. Typically, no on-site visit is required for a Level 2 consultation. E-mail, phone and/or Skype communication is usually sufficient.